As an orange Booker I have a bit of gripe with this. The Tories and Labour are the best chance of getting the policies we want enacted? Just plain wrong. We may be more market orientated than a lot of the party, but it is not a dividing issue for most of us. Localism, Civil liberties and a sensible foreign policy are all things that we agree with the party on. We might question whether or not the state is the best distributor of resources , but to say that we won’t achieve what we want in the Lib dems and should look elsewhere ( a very fancy way of saying ” You don’t belong in this party”) is just plain wrong and incredibly dumb. Labour and the Tories are nowhere on proper genuine localism. Abysmal on Civil Liberties and as for Foreign policy the tories are EuroPhobic ( and I say that as someone who is EU Sceptic) and Labour still have a strong liberal interventionist bent which is anathema for most the Orange Bookers. You’r over simplifying things drastically on that point. Steve Haynes: the painful truth of the matter is that a political party is nothing if it can’t agree on economic policy. If this coalition has proven anything it has proven this. When we launched the Social Liberal Forum I naively agreed with you that the party was big enough to contain both identities – and said so on numerous occasions. Despite that, we were regularly attacked by Orange Bookers and told to leave the party, not least of all by Richard Reeves himself whose attacks resulted in him being appointed head of strategy by Clegg himself – an implicit endorsement of that position. Well, you got your wish in my respect at least. But it hasn’t actually resulted in any polling success. Economic liberalism is endorsed by a substantial proportion of the Conservatives and a significant wing of the Labour Party. Those battles will continue to rage within those parties. Meanwhile, the debate within the Lib Dems for the next decade will be far more existential. If the party can’t agree on an economic policy it is dead. It’s that simple. Finally, it is a simple fact that social liberals outnumber economic liberals by at least 2 to 1. It seems to me that staying in the party and stopping the party from simply resolving its identity will achieve nothing to help the other aspects of liberalism which you espouse. You’re better off fighting that corner inside another party than damaging the cause of liberalism within the Lib Dems by making it harder to settle on an economic identity. That’s up to you though. Thanks for the response on my end the coalition post – interesting arguments which I’ll have to think about and respond to later. However, I think you make some very valid points in the Richard Reeves/next leader sections. The party used to be about carving out a distinctive place for itself and trying to shift opinion in that direction. Now, like you say, we’re chasing that same crowded ground as everyone else and not setting out anything distinctive. Conference is still willing to be radical when it gets the chance (see drugs policy) but the leadership and HQ aren’t interested in pushing that vision of the party. The messages that come from Campaigns are all about ‘say how much this policy will save people on taxes/spend in their area’ rather than anything ideological or about principle. “In short, I don’t think the Lib Dems have all that much in the way of talent on their benches, and that makes getting rid of Clegg an especially risky premise.” That’s quite right and I remember Jonathan Calder’s comment that Tim Farron’s very good at telling party members want they want to hear. We have a lot of people who’ve been elected because they’re good at being elected, but I’m not hearing much in the way of future direction beyond ‘deliver more leaflets’. Another considered and deeply well thought out piece James – thank you. I agree with most of it, including that we should replace Clegg, but stick with this retched coalition. I think you highlight some of Vince’s clear weaknesses, and he is not as culturally liberal as Clegg. I also agree that we can question the extent of his left wing credentials. However, I think this, combined with his role in Government, makes him a stronger candidate to be leader, as he would be able to unify the Party in a way that Nick Clegg can’t, or Tim Farron wouldn’t. A Cable leadership would not be a whole sale rejection of coalition, nor necessary mean the end of it, though would help the Party distance itself from the Tories (esp their economic policies), to change tack slightly (from the centre to the centre centre left), while also offer enough for some voters to reinvest trust in the Party. Vince Cable should also serve as an effective antidote to Clegg (and Cameroon and Miliband for that matter) by offering the opposite of Clegg’s inexperience + spin and no substance, while at the same time being an altogether better leader as he has *infinitely better political judgement*. Whereas the attacks on Campbell’s age undermined Vince standing in 2007, Clegg’s general naivety and thoughtlessness now play to Vince’s strengths. Tim Farron appears to be playing the long game, and I hope he wouldn’t be too threatened by Vince taking over, as Vince would be unlikely to stay in post for a long period of time, and in short, if the Party wants a new leader before 2015, and unless people like Steve Webb, Ed Davey or Tim Farron go on manoeuvres ASAP, Vince Cable appears to also be the only game in town. Thank you. An excellent post. The only thing I’m not sure I agree with is the desirability of continuing with the coalition; but as it would take a revolt of unimaginable proportions by the party at large to bring it to an end, that argument is almost certainly moot. P.S. I am not trying to make some haughty observation when I write this, but you need to go along to the Glee Club pissed – you need the audio equivalent to beer goggles. Otherwise it is as about as entertaining as watching an uncle dancing at a wedding, who is trying to be all down with kids. Welcome to the unaffiliated fold. We’ll make an anarchist of you yet. Few quick words about the disproportionate numbers on the student demos compared to other issues. Firstly, the 2010 marches were all not just about tuition fees but also EMA, and a lot of the people out were EMA recipients and even younger students who were fighting for their EMA. Similarly, the uni occupations focused on this. Secondly, there were actually some NHS actions which were comparable in size with the student ones, but didn’t get any media attention whatsoever. (I wrote up one where we blocked a road, ran round London and had guns pointed at us http://stavvers.wordpress.com/2012/03/18/the-nhs-demo-and-the-failure-to-report/). Similarly, disability benefit claimants have been regularly chaining themselves up in roads in protest against cuts (though in smaller numbers, which has been a general trend with any of the welfare protests as the day-to-day issues means it’s much harder for the people to mobilise for demos). Again this hasn’t been reported. While I can only speculate as to the lack of media profile associated with all this action going on, I suspect it’s a combination of two things: (1) the tuition fees issue was a really good thing for a predominantly Tory-supporting media (and betrayed Lib Dem supporting media) to have a pop at the Lib Dems and (2) more importantly, there wasn’t any “violence” to hang a story off, which bored the media, because they love a good OH MY GOD THEY’RE BREAKING WINDOWS FEAR FOR YOUR PROPERTY story. So yeah, there’s been a lot going on, but a lot of people aren’t hearing about it. Stavvers: point taken about protests going unreported, but your example of an NHS protest in 2012 was at least a year too late. 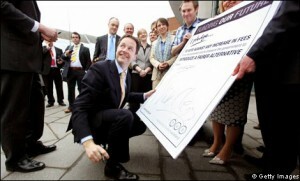 The opportunity to kill the Lansley reforms was the summer of 2011. Despite this, far too few people were making any noise about it at all at that point. As for EMA, while I accept it was on the placards as well, the focus of the protests was on the votes on tuition fees – EMA was simply not given the same priority. It was an asterisk when it should have been the focus. I’m not singling out the protest movement here by the way. Labour, the unions and the left wing media were all complicit. Fundamentally, the biggest problem with the left is what it has always been: a preference for infighting over coordination. Contrast that with the flagrant bed hopping of the right, with think tanks, astroturfers and major donors all succeeding in coordinating activity within the Tories, UKIP and, yes, the Lib Dems. Labour deludes itself it is the movement, is fixated on triangulation and to the limited extent it embraces pluralism at all it is only in the context of persuading everyone else to agree with them. The unions are only interested in shoring up their own rapidly declining and irrelevant power base. The protest movement too shows little interest in engaging with the rest of the left either. The proverbial Martian visiting Earth would assume that Gramsci was a rightwinger looking at who seems to have learned his lessons. Labour != left. Well mostly, and certainly at Parliamentary level. No hope of a return for “king over the water” Chatshow Charlie, then? Certainly a lot less “damaged goods” than Clegg and his fellow-travellers, not least from an ideological perspective, and a fondness for the electric soup never hurt Winston Churchill or Harold Wilson (or even That Woman) while in office. Pingback: Linkblogging For 22/09/12 « Sci-Ence! Justice Leak! What pathetic, self-indulgent drivel. All you ever were was a bitter socialist who wanted electoral reform. When the chance presented itself, you were part of the dire organisation that was out-campaigned on a once in a generation chance, so you threw a tantrum and resigned from the party you had a hand in shaping for years. You should rejoin tomorrow. You made the party you deserve. Good grief, what’s Owen Maclean on? On a more serious point I agreed with a lot of what you wrote and, if I thought people would be interested, could spend an afternoon writing a response. A few thoughts though. Firstly, it has been the desire of the Liberals/Liberal Democrats to have power for generations. 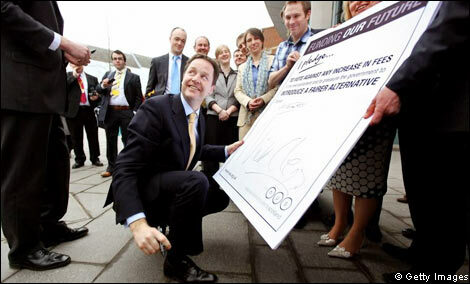 Wouldn’t all our other post-war leaders have done as badly as Mr Clegg? My guess is probably not. His roots in the party and understanding of the party seem rather shallow. I don’t really think you could say that about anyone else. Secondly, you state the Liberal Democrats should think about what they are going to do in their wilderness years. There is another scenario for 2015 namely another hung parliament followed by another coalition. If there is another coalition with the Conservative Party many on the centre-left will just resign pushing the party further to the right.